For the first time, TheWrap has surveyed the entire vast Emmy landscape and picked out the 50 hottest people, shows and themes of this year’s Emmy season. 1. Kit Harington, "Game of Thrones"He went into last season dead, came out of it alive, beat the evil Ramsay Bolton to a pulp with his bare hands and was one of the few men to gain more power during a season of "Game of Thrones" where the women took command. Kit Harington’s Jon Snow was the man who set pop culture ablaze this TV season. 2. Lena Headey, "Game of Thrones"And Heady, a.k.a. Cersei Lannister, had a savage but satisfying return to glory. 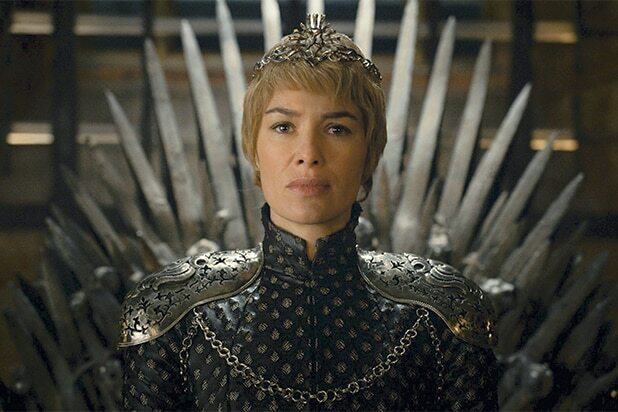 After losing her last child and being humiliated by a religious zealot, Cersei incinerated half of King’s Landing and took her seat on the Iron Throne. 3. "The People v. O.J. Simpson"One of the season’s biggest sensations was also an Emmy juggernaut, landing 22 nominations. It won’t set a new record for a miniseries, but mostly because it’s competing against itself in too many categories. 4. Julia Louis-Dreyfus, "Veep"Voters may be undecided about Selena Meyers, but they love Julia Louis-Dreyfus. Her character fought a tied electoral college for 10 episodes, and Louis-Dreyfus can break records with her fifth consecutive comedy-actress Emmy. 5. Jimmy KimmelHe’s hosting the Emmys and he’s nominated for "Jimmy Kimmel Live!" Then again, the late-night funnyman says he probably won’t enjoy the gig -- "I never do," he told TheWrap -- and he’s certain he’s going to lose again. 6. Rami Malek, "Mr. Robot"The title is more suited to a comedy and the logline makes it sound like a genre show that voters would never embrace, but "Mr. Robot" is the hottest new show of the season in the eyes of Emmy voters. At its center is Malek as a sullen and haunted hacker with a tenuous grasp on reality. 7. "The Americans"After four seasons of critical praise but Academy inattention, FX’s Cold War drama finally broke through and received nominations in the major categories: Outstanding Drama Series, plus actor and actress nods for Matthew Rhys and Keri Russell. 8. Beyonce, "Lemonade"Her groundbreaking visual album became an Internet sensation and Beyonce’s worthiest artistic effort to date -- and it also landed four Emmy nominations, including one that will probably take her to the Microsoft Theater stage for her first Emmy appearance ever. 9. Laurie MetcalfTwo decades after winning three Emmys for "Rosanne," Metcalf took time out from the stage to land three different Emmy nominations for three different shows in three different categories: lead comedy actress in HBO’s "Getting On," guest comedy actress for "The Big Bang Theory" and guest drama actress for Louis C.K.’s "Horace and Pete." 10. James CordenIn about a year and a half he’s gone from relatively unknown Brit to legitimate superstar and Emmy nominee, thanks to crack comedic timing, top-notch song-and-dance skills and uncanny affability. Oh, and "Carpool Karaoke," too. 11. DiversityNo hashtags here. Of the 88 Emmy acting nominees, 21 are nonwhite -- which is almost 24 percent, or a lot more than the 0 percent that brought heat down on the Motion Picture Academy. 12. HBOAs upstarts like Netflix and FX began racking up nominations in recent years, some wondered if HBO would be edged out of the top spot it’s occupied for 15 years. Not a chance: The premium cable network grabbed 94 nominations, 38 more than second-place FX and 40 more than Netflix. 13. Online VotingPeople wondered if moving from paper to online voting could be secure but also easy to use for older voters -- but in the first year of online-only balloting, the TV Academy saw its voter participation increase by 22 percent. 14. "The Night Manager"Hugh Laurie unsuccessfully tried to secure the rights to the John le Carré novel when it was published in 1993, but two decades later he was part of the team that solved the dense book and turned it into a gripping six-hour miniseries about a hotel manager (Tom Hiddleston) helping take down an arms dealer (Laurie). Laurie, Hiddleston, Olivia Colman and director Susanne Bier are among the dozen nominees. 15. "Fargo"Noah Hawley’s crime tale with Coen brothers' DNA topped itself in its second season, landing 18 nominations to the first season’s 15. It also rode a contemporary cultural current with a story that replaced the typical psycho villain with a sense that there’s a bigger, vaguer bad guy behind it all. 16. "Black-ish"The hottest network comedy is this ABC offering, which uses the trappings of a family sitcom to explore issues like race, police brutality and class. Leads Anthony Anderson and Tracee Ellis Ross both landed nominations. 17. John Oliver, "Last Week Tonight"Politics, Part 1: Oliver is revolutionizing the late-night genre by getting big laughs from issues like debt collection, while breaking all the rules about how long segments should run. He could succeed Jon Stewart and Stephen Colbert as the guy who rides a topical show to Emmy wins. 18. Jay Roach Politics, Part 2: Director Roach won Emmys for his HBO movies on Bush v. Gore ("Recount") and Sarah Palin ("Game Change"), and now he’s nominated for his LBJ story "All the Way." Is a Trump movie next? 19. Larry David as Bernie Sanders, "Saturday Night Live"Politics, Part 3: In a year dominated by the presidential race, did any actor capture the silliness better? 20. Aziz Ansari, "Master of None"Indian-American comic Ansari is part of a rainbow renaissance that is remaking TV in the image of the real America. "We try to shoot our show like no one else on normal TV," he told TheWrap. 21. Tony Hale, "Veep"His character’s spot on a Washington, D.C., hot list in "Veep" turned out to be a typo, but this one is for real: With four nominations and two wins in the series’ first four seasons, and with a great Season 5 resulting in another nod, he is indeed a hot nominee on a hot show. 22. NetflixThey’re No. 22 on our list because they sent Emmy voters 22 pounds of screeners -- and with shows like "Bloodline," "House of Cards," "Making a Murderer," "Narcos" and "Unbreakable Kimmy Schmidt," and wound up with 54 nominations, more than two per pound. 23. Ellie Kemper, "Unbreakable Kimmy Schmidt"It seemed wrong when the first season of "Unbreakable Kimmy Schmidt" for four acting nominations, but nothing for Kemper, who plays the title character. Voters corrected the oversight this year, saluting an actress whose combination of strength, sunniness and naivete keeps the show afloat. 24. Thomas Middleditch, "Silicon Valley"The first two seasons of the HBO show got a dozen Emmy nominations, including Outstanding Comedy Series, but not a single acting nod for the ensemble of gifted comics. Middleditch broke the streak this year, but what took the TV Academy so long? 25. "Saturday Night Live"Hot? After 41 seasons, and who knows how many complaints that it’s not as good as when [fill in the blanks] was in the cast? Yep, hot. This year’s 16 noms give it a grand total of 209, the most for any show ever by a huge margin over second-place "ER" (124). 26. Sheila NevinsNevins is the president of HBO Documentary Films, which dominates the Emmys documentary and nonfiction categories. As the executive producer on many of their films, she has won more Emmys than anyone in history (31), and this year she grabbed four more nominations that tie her with cameraman Hector Ramirez as the most-nominated person ever. 27. Amy SchumerShe’s nominated for starring in and writing "Inside Amy Schumer," for writing "Amy Schumer: Live at the Apollo" and for hosting "Saturday Night Live." No wonder Bono told the Senate Appropriations Committee that the way to combat extremism is through humor: "I’m suggesting that the Senate send in Amy Schumer," he said. 28. "Downton Abbey""Our goal was to go out before we started to fade," says "Downton Abbey" creator Julian Fellowes. He did just that with a final season that landed 10 Emmy nominations (including another for tart-tongued grand dame Maggie Smith) and left the audience feeling good about a plethora of happy endings. 29. "House of Cards"The 13 Emmy nominations is good, but the remarkable part of this year’s haul for Beau Willimon’s political melodrama is that it got eight acting noms, two more than any other show. The nominees: leads Kevin Spacey and Robin Wright, supporting actor Michael Kelly and guests Ellen Burstyn, Molly Parker, Mahershala Ali, Paul Sparks and Reg E. Cathey. 30. "Till It Happens to You"Diane Warren and Lady Gaga’s impassioned ballad about recovering from sexual abuse lost the Oscar but won the night courtesy of Gaga’s impassioned performance, and now it has become the first song to be nominated for an Oscar, a Grammy and an Emmy. "It seems to be an anthem for this movement, and it’s amazing to write a song that resonates that way," says Warren. 31. Alan MenkenThe writer of Oscar and Grammy-winning music for "Beauty and the Beast," "The Little Mermaid," "Aladdin" and others, and the composer of the Tony-winning musical "Newsies," Menken is an Emmy shy of the Emmy/Grammy/Oscar/Tony grand slam known as the EGOT. He has a shot this year for the song "A New Season" from the ABC series "Galavant." 32. "Frozen Lullaby"Standing in the way of Lady Gaga’s overdue triumph or Alan Menken’s EGOT is this sprightly ode to artificial insemination from Kate Micucci and Riki Lindhome, the folk-comedy duo Garfunkel and Oates. It comes from their special "Garfunkel and Oates: Trying to Be Special." 33. Bob Odenkirk, "Better Call Saul"The "Breaking Bad" spinoff/prequel is a slow-burn character study, and its star says he’s fortunate that Vince Gilligan’s original series garnered such good will and the new show came along when people wanted to binge and streaming got faster. "Oh, dude, I lucked out," he said. "We all did." 34. William H. Macy and Felicity HuffmanThey're a married couple so mysteriously intertwined that every time Huffman has been nominated for an Emmy, Macy has too. It happened in ’05, ’07, ’15 and again this year, with him up for "Shameless" and her for "American Crime." 35. Amy Poeher and Tina FeyPoehler’s been nominated 17 times and has never won. Fey’s been nominated 39 times and has won eight. Now that they’re nominated together for hosting "Saturday Night Live," will Amy’s bad luck rub off on Tina, or will Tina help break Amy’s losing streak? 36. "Homeland"It exploded on the scene and won the drama-series Emmy in 2012. Then it broke viewers’ hearts. But in the past two seasons, "Homeland" has staged the boldest comeback of an important show in recent memory, and Emmy voters have once again responded. 37. Keegan-Michael KeyKey and Jordan Peele ended "Key & Peele" just as that show was hitting its stride TV Academy voters. Barring a reboot down the road, its seven nominations this year are the last the show will receive. Key has personal nominations for acting and writing, plus another nod for his voiceover performance in "SuperMansion." 38. The Shorts CategoriesThe Academy expanded these categories and created an intriguing mixture of offbeat races. There are little spinoffs of big shows ("Fear the Walking Dead: Flight 462," "Gay of Thrones"), James Franco acting out famous scenes ("Making a Scene With James Franco"), Steve Buscemi sitting in a park talking to people ("Park Bench With Steve Buscemi"), plus actors like Lou Diamond Phillips, Rob Corddry and Jack McBrayer. 39. "Making a Murderer"The documentary series about the twisty murder trial of Steven Avery -- exonerated after 18 years in prison, only to be charged with a different murder two years later -- was wildly popular with viewers, and it landed six Emmy nominations. It also spurred new interest in the case, landed Avery a new lawyer and recently got a Season 2 order to follow new developments like the overturned conviction of Avery's nephew Brendan Dassey. 40. Constance Zimmer, "UnReal"Constance Zimmer had some trepidation about joining Sarah Gertrude Shapiro and Marti Noxon’s dark, twisted show about the goings-on inside a "Bachelor"-like reality show. But she trusted the showrunners, liked the tone and ended up winning a Critics’ Choice Award and getting an Emmy nomination. 41. Oscar/Emmy doc nominees"Cartel Land," "Winter on Fire" and "What Happened, Miss Simone?" were Oscar documentary nominees earlier this year, losing to "Amy." And because Emmy rules allow it, they’re now all competing for Emmys in the nonfiction categories: If at first you don’t succeed, get another academy to nominate you and try again. 42. Lily Tomlin, "Grace and Frankie""'Grace and Frankie' is about older women not denying their sexuality and not being discounted by the culture," says Lily Tomlin, who 50 years into a legendary comedy and acting career has gotten her second nomination for Marta Kaufman’s comedy series. 43. Fred ArmisenIt came as something of a surprise when "Portlandia," Armisen’s wry sketch series with Carrie Brownstein, inched into the Emmy picture over the last few years. But now he’s competing with himself in the variety-sketch category, because the second season of his and Bill Hader’s mock-doc series "Documentary Now!" is in there, too. 44. "Lip Sync Battle"The Outstanding Structured Reality Program category is one of the Emmys’ strangest, with the mismatched quintet of "Antiques Roadshow," "Undercover Boss," "Mythbusters," "Shark Tank" and "Diners, Drive-Ins and Dives" its usual competitors. But LL Cool J’s fresh new mime-fest broke into the category this year, adding a blast of music and fun to the reality race. 45. "Comedians in Cars Getting Coffee"The simple, expository and goofy-long title of Jerry Seinfeld’s show sets the tone for both its charmingly simplified plot and its host’s straight-to-the-point humor. And its eighth season kicked off with no less a guest than Barack Obama -- not a bad booking for a tiny Sony digital offshoot that no one really heard of until it put Crackle on the map. 46. Louie Anderson, "Baskets"There’s something strange, and highly significant, about Anderson’s role as Mrs. Baskets, the mother of Zach Galifianakis’ bitter, thwarted professional clown in "Baskets." He doesn't play drag for laughs -- and in the era of Caitlyn Jenner, "Transparent," "Orange Is the New Black" and bathroom-gender politics, it’s au courant to play an old woman as a human with a heart and mind. 47. The "Bosom Buddies" reunionThe two cross-dressing stars of the '80s sitcom are both nominees this year: Tom Hanks for executive producing "The Seventies" (his 12th Emmy nom as producer) and "Girls" guest star Peter Scolari as a last-minute replacement for the disqualified Peter MacNichol ("Veep") in the Outstanding Guest Actor in a Comedy category. 48. "Chef’s Table"If you’ve consumed your fill of celebrity chefs, cooking competitions and greasy-spoon celebrations, the more rarefied restaurant show "Chef’s Table" might hit the spot. The Netflix series visits temples of fine dining around the world, with Vivaldi on the soundtrack and cinematography that looks like Caravaggio. 49. "Modern Family"After 77 nominations and 22 wins in seven years, including five straight comedy-series wins, "Modern Family" is no longer the Emmy juggernaut it was. But it landed four nominations and it’s still historically important, tapping people’s deepest feelings about family and social change and measurably changing public opinion right and left. 50. TelevisionWho’s the big winner in all of this? TV, of course -- the medium that now comes from everywhere and embraces everything and gives us enough quality to fill 113 categories and 50 spots on a hot list.